unique park facilities that give each player a different way to score points, with the help of their very own executive! Blueprints that award bonus points to tidy park owners! All new PR events, plot twists, specialists, and lots of new, bodacious, slippery-when-wet marine creatures! 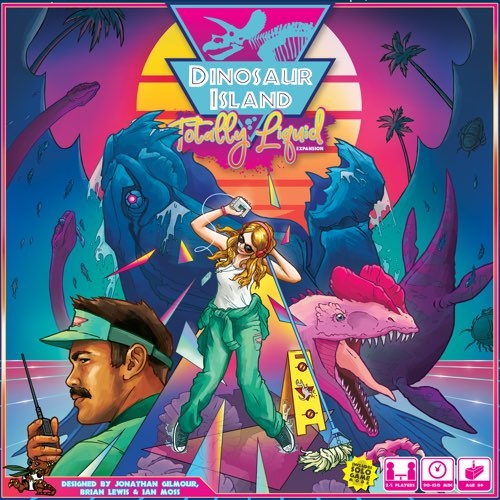 Dinosaur Island: Totally Liquid requires a copy of Dinosaur Island to play!